I sat still listening to Antonio. His words carefully descended his hand-written business plan. His dreams on paper. A sip from sugarcane sweetened, hand-squeezed limonada. The cool stainless steel cup set next to a dormant orchid, one of the countless pots lining the rim of Antonio's flowering patio. I shifted my weight on the make-shift hardwood bench to get a better view of the family dog frozen in a sun-soaked, belly-rub slumber. On turning the final page, I applauded Antonio with my co-workers. The scarecrow straw hat shading this simply wise pioneer could not hide his proud smile. Despite Colombia’s lucrative coffee history, local farmers in the region of Cauca have been undercut in the global marketplace. Reaching the lowest commodity price in seven-years, facing an unprecedented environmental supply shock, and exhausted with excessive government control, rural coffee farmers are looking for an alternative to conventional coffee farming practices. 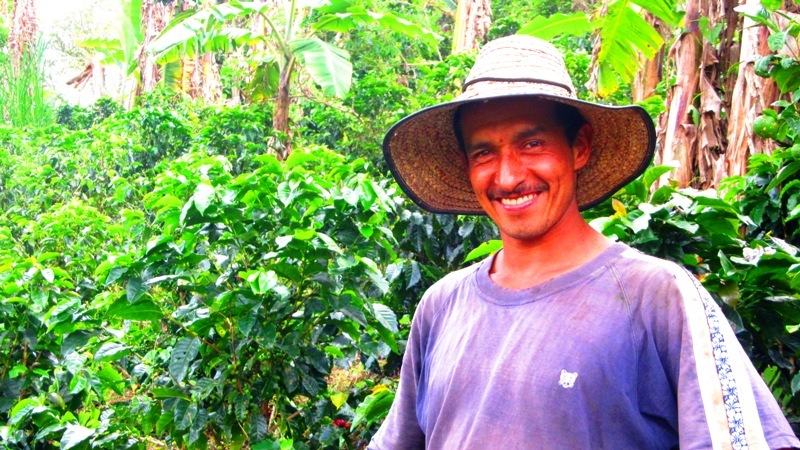 After 20+ years growing conventional coffee, Antonio took the risk to go organic. He left behind the security of subsidies and the ease of comprehensive chemical cocktails. In fact, almost all farmers in Colombia rely on chemical fertilizers and government packages because their upfront costs are cheaper. In contrast, Antonio has a long-term dream for a wholly organic coffee crop that looks like independence, health, and balance. Antonio is no longer dependent on the government-run monopoly of myopic loans, multinational chemicals, or volatile international prices. Antonio is now producing an heirloom polyculture of all-natural fruits, vegetables, and medicine to sustain his family, neighbors, and livestock. Antonio is now mitigating the risk of crop failure by creating a local market for organic produce, manure, and fertilizer. During my afternoon on Antonio's simple patio, I felt a “calor de casa” (the warmth of home) distinct to Latin America. Antonio's elderly mother-in-law picked, squeezed, and delivered that fresh limonada. 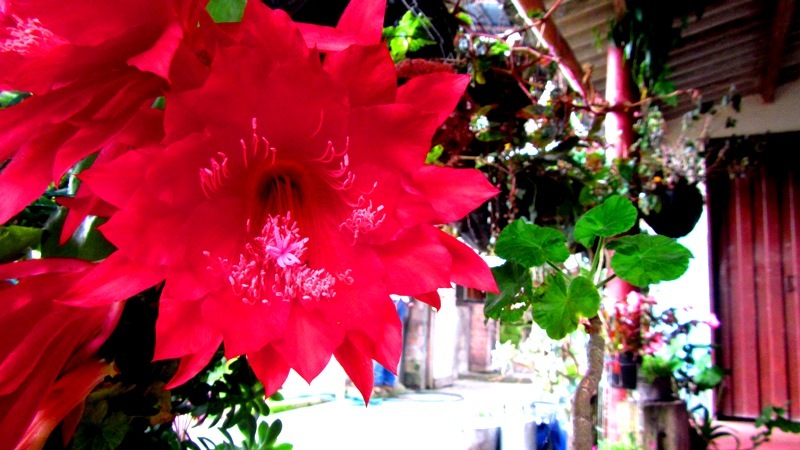 Naming each flower, Antonio bragged of his wife's gardening as she blushed and left the patio, child at her hip. Grabbing a re-purposed iron trash bin, Antonio proudly showed us his son's innovation for packing coffee. With a sheepish head-shake, his son kept pounding away on the new roof. I recognized the wood as the same from my seat, the beams of the patio, the stable, the kitchen cabinets... Everything in sight had fingerprints. When we applauded Antonio for his remarkable success, he commented, that “Uno sabe que esta logrando sus metas cuando esta soñando despierto,” (“You know you are reaching your goals when you dream with eyes wide open,”). I sat for a while chewing on that idea. By going organic, Antonio has an independent, healthy, and balanced farm that provides the sustenance for his family's needs. There is no longer a need to look elsewhere. Local staff from FCC meet with Antonio and to collect information for his Kiva profile. By partnering with Kiva, FCC will help farmers like Antonio transition away from conventional coffee growing and take the risk of going organic. So on behalf of all the Kiva borrowers in Colombia and the staff at FCC, thank you for your continued support of innovative microfinance through Kiva. You can view Antonio's loan here and support similar organic loans here. Finally, here is a video that I composed documenting Antonio’s organic process. The original music and lyrics are written by FCC’s lead loan officer, Arlen Segura. Born and raised in Minnesota, Jeffrey earned his B.A. in Economics from Wheaton College outside of Chicago. During his collegiate studies, Jeffrey became passionate about small-scale enterprise and economic development. After composing financial literacy curriculums for inner-city high schools, Jeffrey spent two years as a program strategist with FundaVida, an NGO based in San Jose, Costa Rica. 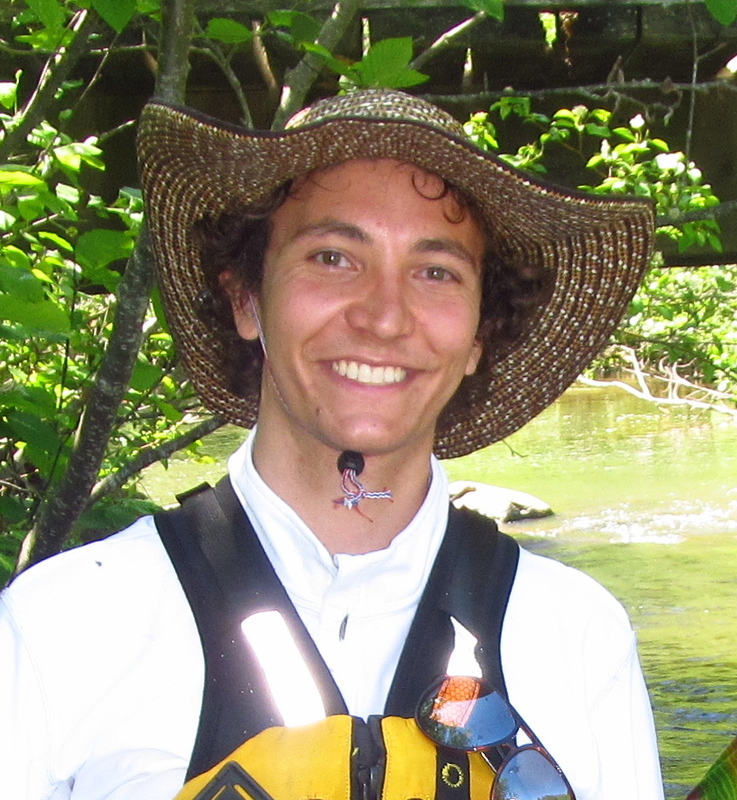 This past summer he worked on a conservation campaign with the EPA, canoeing the entire Mississippi River with his closest college friends. Jeffrey is excited to collaborate with and learn from Kiva's lending partners in Latin Ameria this year. As an extension of his fellowship, Jeffrey is pursuing a career in holistic community development in marginalized urban contexts.